← How Can I Help You Have Fun, Be Fit & Feel Fabulous? I just wrapped up one of the best business trips I’ve been on in quite a while. 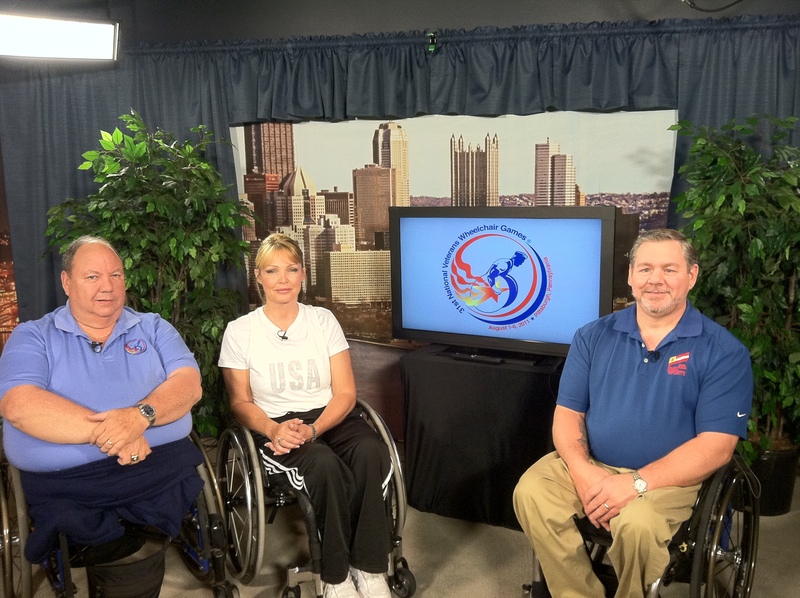 I had the privilege of producing a satellite media tour for the Paralyzed Veterans of America and helped them promote the 31st National Veterans Wheelchair Games going on this week in Pittsburgh. It is the largest annual wheelchair sports event in the world and is co-presented by PVA and the Department of Veterans Affairs (VA). This year, there are more than 600 American veteran heroes with physical disabilities participating in 17 medal events including archery, power soccer, quad rugby, basketball and swimming. Each participant competes with athleticism and a true strength of spirit many of us will never achieve. I was proud to be a part of today’s media outreach efforts for the Games as I believe there will never be enough we can do for those who have sacrificed so much for the rest of us. 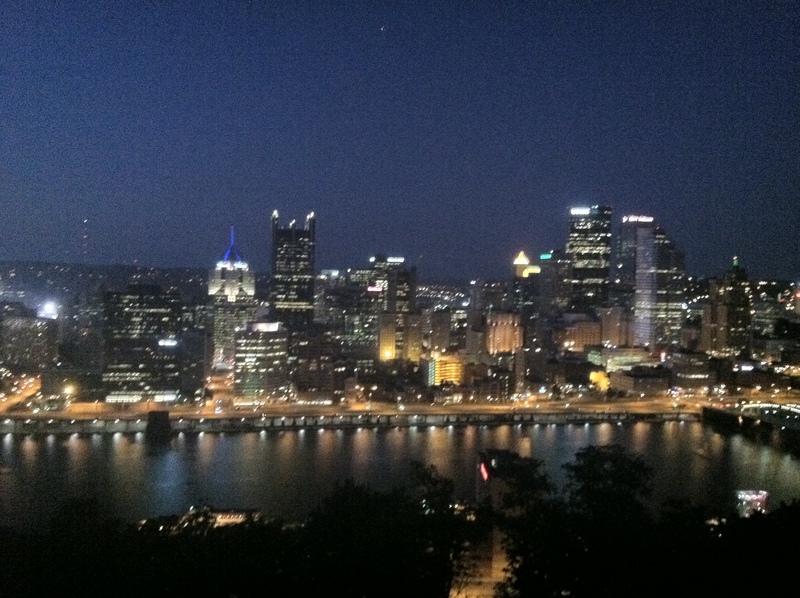 While the trip to Pittsburgh proved good for my spirits, it wasn’t too bad for my physical well-being either. Airports aren’t known for their healthy food options, but luckily, the JetBlue terminal at JFK offers more than burgers and pizza. I was able to find salad and even fresh strawberries for lunch. Last night, our Pittsburgh studio liaison treated me to a fabulous dinner, where I was enjoyed sea bass with fresh spinach. (I did have one glass of Pinot Noir.) I even managed to squeeze in 30 minutes on the elliptical, three sets of push ups (20 reps) and some core work on a yoga ball at the hotel’s fitness center. Pack healthy snacks. Even on overnight trips, I keep raw almonds and a couple of Fiber One bars in my bag. If I can’t eat for a while because I’m wrapped up in the project, or if the food options aren’t optimal, at least I have a satisfying snack to hold me over for a bit. Monitor portions. If meals are brought in for meetings or you’re going out for dinner, watch your portion sizes and perhaps choose to have a drink, but skip dessert or skip an appetizer and a drink but indulge in something sweet after your meal. The key is to find what works for you. If you’re lucky enough to get a “natural high” from being involved in a project as rewarding as what I was a part of today, you’ll get the extra bonus of knowing you can be working and still have fun, be fit and feel fabulous! Posted on August 3, 2011, in Fitness, Health, Nutrition and tagged Business Travel, Cardiovascular Activity, Department of Veterans Affairs, Elliptical Training, Health, Healthy Food Choices While Traveling, Laura DeAngelis, Paralyzed Veterans of America, Personal Fitness, Pittsburgh, Running, Wheelchair Games, Workout Gear. Bookmark the permalink. 2 Comments. Having snacks on hand is key even when you’re not traveling. I always have almonds or something in my bag….I always feel like a grandmother…but when hunger strikes I’m ready! Great tips for getting in a few moves while traveling. Thanks! Hi Paula, Well, you certainly don’t LOOK like a grandmother so keep those almonds and other healthy snacks with you! Glad you found the tips helpful Thanks for taking the time to stop by and leave your feedback. .